Fantastic location, walking distance to U bahn and bus connections. Plenty of taxis outside the property. The welcome by the young concierge was stress free and uncomplicated. He provided us with all essential information. With 3 suites on the same floor, there was some thought in our positions, which is a good personal touch. The apartments have adequate fridges and an espresso machine for coffe. Nespresso shop is just on the corner, but one could be a little more generous than the 2 cups provided (in this price category) Quality furnishings and lighting. All in perfect working order. The noise pollution from outside the building was minimum (this was a weekend stay) Would recommend to friends for its placement and plaeasant staff members,,,, Well Done. The best option in Berlin. It has been my third time and it will be my next time. A huge bonus : Sarah, Medita and Tino ! Staff and human approach are highly important when running a public place . An exemplary business. the heated bathroom floor was awesome & the modern shower was cool, too. bed & bedsheets were very comfortable. nice mini kitchen and very nice room darkening curtains. Felt very secure, too. Fantastic location, great facilities - really spacious and nicely decorated - well equipped kitchenette. Friendly and helpful staff. Really good Italian restaurant attached to hotel. It made the whole trip so easy. The location is perfect, in the old heart of the city and the hub of the excellent transit system, making it extremely convenient to travel and to get to the airport. It's private, quiet, impeccably clean, secure, comfortable and well-appointed. My studio came with a microwave, refrigerator, toaster, Nespresso machine (there's a store a block away), and electric kettle, so it was easy to have breakfasts in the room. There are good nearby supermarkets and a fantastic food hall at the nearby Galeries Lafayette. I recommend it highly, and would happily return. Location, location, location.....easy to get to many parts of the city....walkable distances and good public transport nearby. Plenty of restaurants nearby. Possible to store luggage prior to check-in and after checkout. "Excellent" is not even enough to rate this place.. everything was magnifique and the staff were absolutely kind and helpful.. the comfort, the tidiness.. everything and especially Mrs Madita from the reception.. big kudos to you dear!, I will surely be back without a doubt to this place again! No frills condominium with miniature kitchen, comfortable bed and a nice little balcony. Decent closet and bathroom as well. 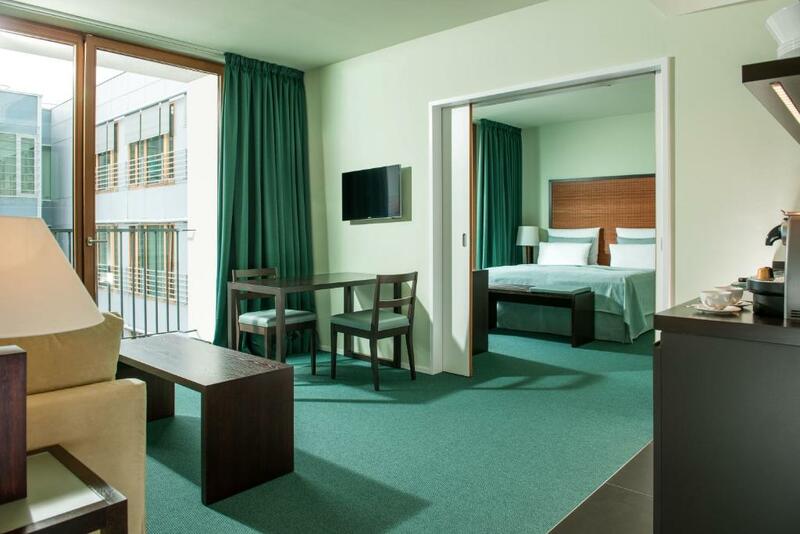 Lock in a great price for Clipper City Home Apartments Berlin – rated 9.2 by recent guests! 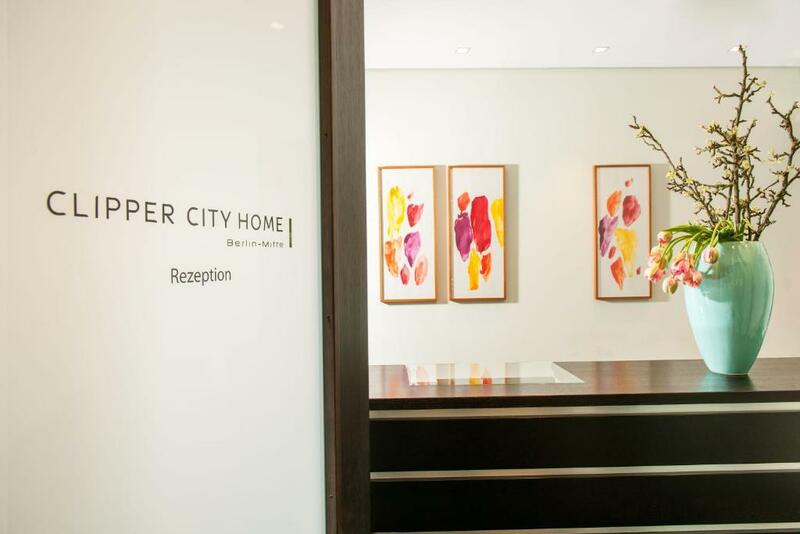 Clipper City Home Apartments Berlin This rating is a reflection of how the property compares to the industry standard when it comes to price, facilities and services available. It's based on a self-evaluation by the property. Use this rating to help choose your stay! The apartment building has an underground garage. From here, an elevator takes you directly to your studio or apartment. All accommodations is completely nonsmoking. 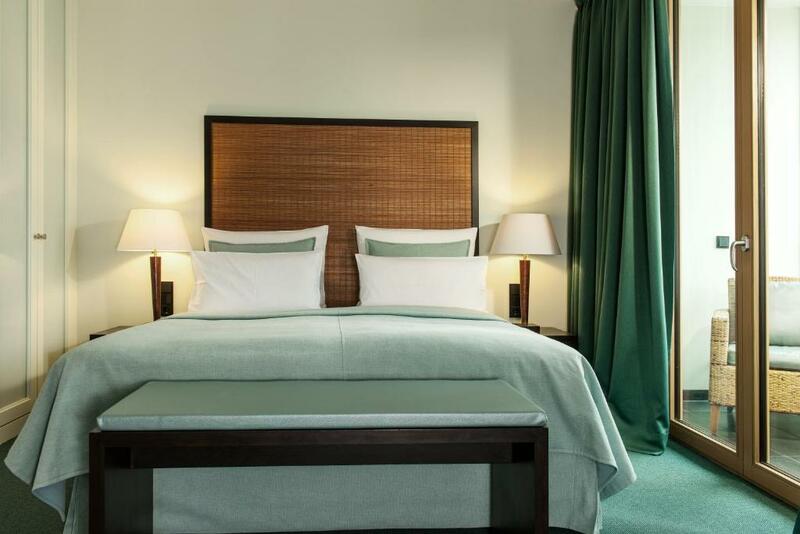 The Unter den Linden boulevard is a 3-minute walk away. Buses run directly to Zoologischer Garten from there. 뀐 Located in the real heart of Berlin, this property has an excellent location score of 9.7! 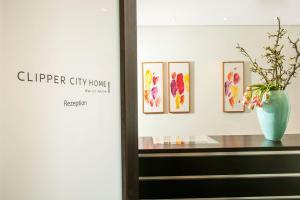 When would you like to stay at Clipper City Home Apartments Berlin? This stylishly decorated apartment features a kitchenette, a flat-screen TV and Bose sound system. This street-facing apartment also has a conservatory. Public parking is available on site (reservation is needed) and costs EUR 23 per day. This bright and stylishly decorated apartment features a full kitchen, a flat-screen TV and a Bose sound system. It also has a dining table. It includes a separate bedroom and living room and faces the courtyard. It is also possible to separate the bed into 2 single beds. This bright and stylishly decorated apartment features a full kitchen, a flat-screen TV and Bose sound system. It also includes a dining table. This spacious apartment has a separate bedroom and a living room. It is on the top floor of the building and provides access to a private roof terrace. This air-conditioned studio has a sitting area and a kitchenette with a microwave. This twin/double room features a microwave, soundproofing and electric kettle. This studio has a electric kettle, toaster and microwave. 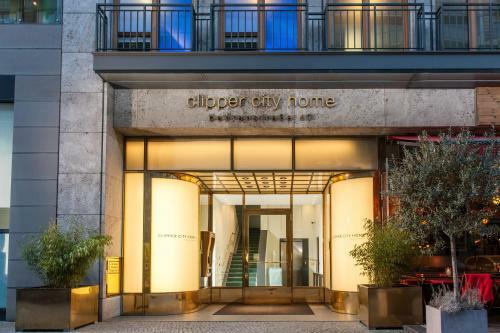 Clipper City Home on Friedrichstraße in Berlin-Mitte: Having been completely refurbished in 2014, our serviced apartments all feature the usual Clipper amenities, as well as air conditioning and free wifi. All apartments are non-smoking apartments. 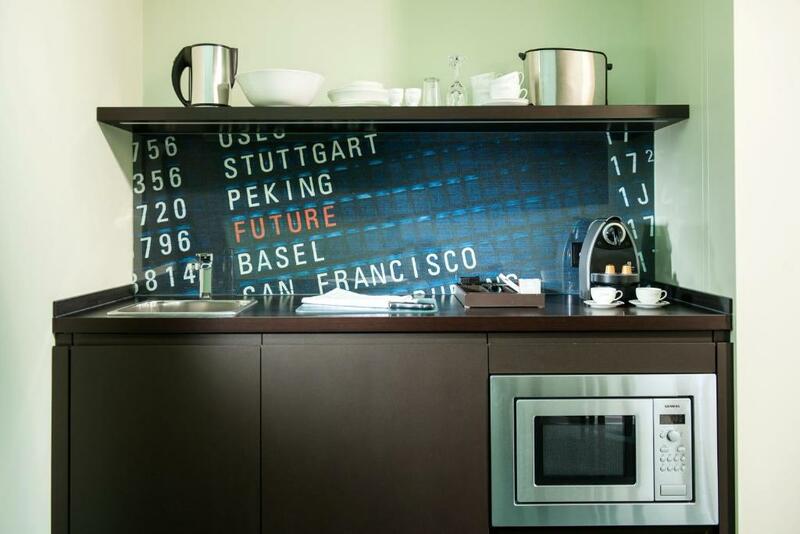 “…less but more than a hotel” – is the principle on which the Clipper Boardinghouses are based. 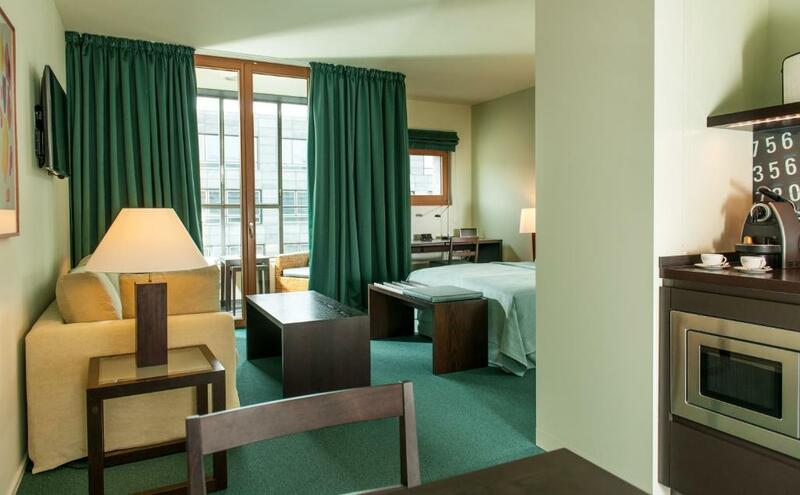 Choose an alternative to the classic hotel, and feel the unique atmosphere of the Clipper Boardinghouses for yourself. 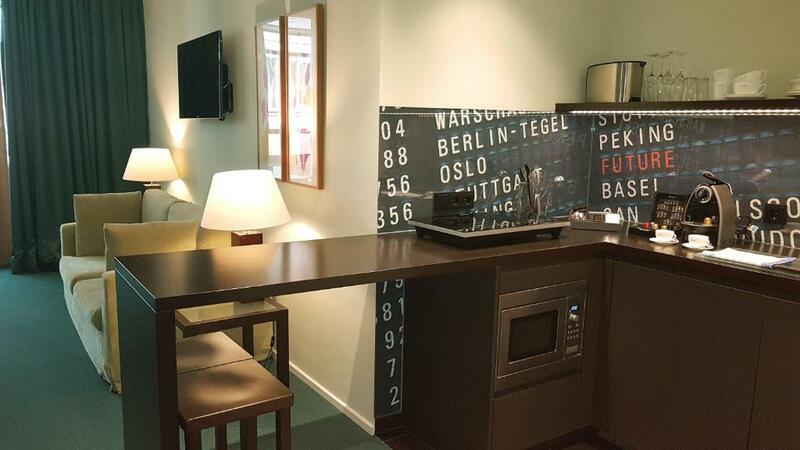 Serviced Apartment Berlin near Unter den Linden and Gendarmenmarkt Berlin, Germany’s capital and the new “place to be”, is attracting visitors from all over the world. The Clipper City Home on the corner of Friedrichstraße and Behrensstraße was completely renovated in 2014, and provides the perfect starting point for exploring Berlin, regardless of whether you’re here for work or pleasure. The shopping strip along Friedrichstraße, with Galeries Lafayette and Quartier 206, are right on your doorstep, while the Gendarmenmarkt, Unter den Linden boulevard, and Friedrichstraße S-Bahn train station are all just a 2-minute walk away. If you are interested in culture and politics, you will find Checkpoint Charlie just a 5-minute walk away, and the Brandenburg Gate and Berlin Reichstag just a 10-minute walk away. For music lovers, the Komische Oper and Staatsoper Unter den Linden are similarly just a stone’s throw away on foot. Rosmarin Karree is home to the fitness&friends gym, where you can work out or simply relax, while the Italian restaurant Sagrantino Winebar serves breakfast, quick lunch specials, and an extensive dinner menu, and can be accessed directly from the lobby. House Rules Clipper City Home Apartments Berlin takes special requests – add in the next step! Clipper City Home Apartments Berlin accepts these cards and reserves the right to temporarily hold an amount prior to arrival. Apartments are partly cleaned every 3 nights, and fully cleaned every 6 nights. 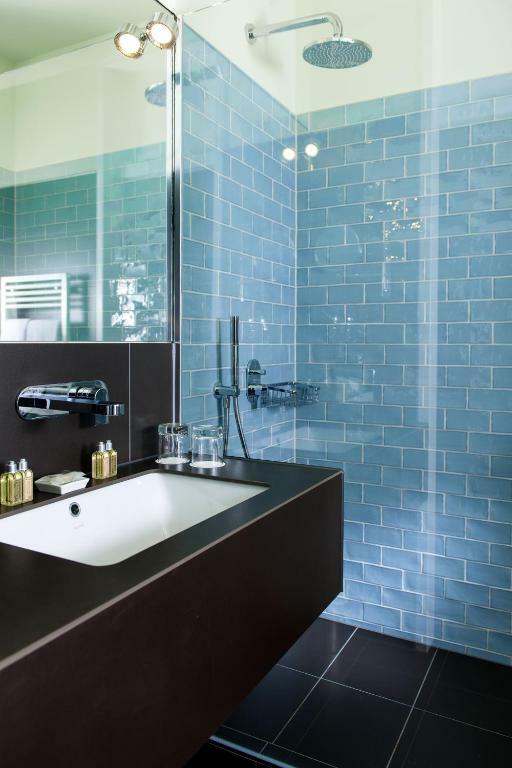 A daily room cleaning service and fresh towels can be arranged for an additional fee. Reception is open from 07:00 to 22:00 on weekdays, and from 08:00 to 18:00 at weekends and on public holidays. A breakfast buffet is served on a daily basis in the Sagrantino restaurant on weekdays from 07:00 until 11:00 and at weekends from 08:30 until 12:00. Please note that only dogs are allowed on request and charges apply. Please inform Clipper City Home Apartments Berlin of your expected arrival time in advance. You can use the Special Requests box when booking, or contact the property directly using the contact details in your confirmation. Very very nice staff and the self check-in machine was very easy to use. The rooms are very spacious and the kitchen facilities are great. The Italian restaurant in the ground floor with a door from the hotel was amazing and very nice breakfast. Nice breakfast in the connected Italian restaurant. They gave me a late checkout because I was running the Berlin Halfmarathon - That helped a lot. It’s the most terrible apart-hotel I’ve ever been. I have spent there four nights and every night in the room was the buzz from working techniques outside the room (maybe it was ventilation from restaurant on the 1st floor), it was impossible to sleep. Every evening/night I have persuaded the staff to help, to provide opportunity to sleep, but the staff ignored us. Every evening only after the third ask they switch off the buzz. On Saturday the plug clogged in the shower, dirty was every where, but hotel staff said that they can do nothing until morning. And even when they have cleaned the drain in the morning, but didn’t clear the shower room, they said that they can clean once in three days. I have asked for the compensation but no reaction. Also for the moment building is under reconstruction and builders working every day from 9:00 to 18:00I (but nobody informed us about this before the booking). I strictly not recommend to visit this hotel. There is not much to dislike. The kitchen was adequately equipped but could have had more crockery and utensils even for short stays. Rooms were a bit dark under lights but nothing major. 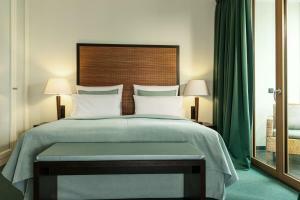 The location of this property is fantastic if you want to access the central Berlin attractions. You can walk to just about everything easily in less than 15 mins and it has great connections to public transport (U-bahn, S-bahn and buses). It has the convenience of a professional front desk with great staff who provide excellent local knowledge and who are very helpful if there are any issues. We wanted a coffee maker or plunger as the apartment came only with a pod device, and a drip filter machine was delivered soon after. Rooms are modern and very clean. It was also great to have a large shower with plenty of hot water and good water pressure. Beds are very comfortable and the curtains and sound proofing make for a very quiet night's sleep. There is a supermarket nearby for self-catering needs and plenty of cafes, restaurants and bars if needed. Elevators in the building allow easy access especially when hauling heavy luggage. Communication prior to arrival, check-in and ongoing communication was very good. Excellent service and an immaculate apartment. It was so handy for my trip to Berlin for the opera. The apartment was just perfect: thoughtfully organized and very clean and tidy. I will definitely stay here again. The air conditioning unit was horrible. It only had one setting for the intensity of the air flow and it seemed to be on maximum. The noise was extremely loud and the ice cold air blew directly on the bed. We could not have it on at all when we tried to sleep because of the noise- it woke us up every time it started automatically, as well as blowing the air directly on to the bed, my daughter almost cried as she was so cold. And not having it on made the room unbearably hot during the night and we woke up sweating several times a night. I was offered a late check out as a compensation, which I accepted, but I feel the quality of the stay suffered a great deal because we could not sleep well at all. The main reason I chose this hotel was the reviews that said it is quiet and peaceful so I was expecting a good night's sleep. I was told that the unit was on perfect technical condition and nothing was wrong with it so I will not be compensated any other way, except if I stay with them next time I will get an upgrade. Since I am not travelling to Berlin in the near future this is not any kind of compensation that is relevant to me. The room was spacious and clean. The towels were large and fluffy, very nice; larger than normally at hotels. Bathroom was modern and the rain shower was a touch of luxury. Kitchenette did not have a normal coffee maker( had a Nespresso machine) but one was provided when I asked about it, with complimentary coffee and filters. The staff was nice and friendly and the hotel was quiet during the night, no partying etc. The Italian restaurant next door had good food, we had both lunch and dinner there; not the breakfast buffet though. There was only a short walk to shops and Friedricstrasse train station, also the airport bus stop was nearby, all in all very good location. The staff provided us with map of the city as well as smaller map that showed the location of the nearest grocery stores. bed & bedroom layout, bath/shower fittings needs fixing. Location, comfort, staff, cleanliness & efficiency. They charged the amount directly to my CC without asking me or signing anything before. Very unusual and totally new. Location, apartment with lots of scape, clean, easy access from airport or trains.